First off, Happy New Year to you guys! I know I’ve neglected my blog for a few weeks now. I decided to step away from it for the holidays and spend some quality time with my family. But since it’s a new year, I think it’s time to get back to blogging. 2015 was quite memorable for me. My husband and I pretty much traveled all around the US, mostly going on road trips. This year, our goal is to travel more overseas with Iceland as our top priority to visit. But before I start making plans for this year, I want to share my top 5 unforgettable destinations of 2015. This is my favorite national park in the US. Granted, I have yet to visit most of them but Yellowstone will always have a special place in my heart. We visited for the second time earlier this year and it was just as breathtaking as our first visit. One of the highlights of this trip was when we saw two grizzly bears (on separate occasions) about 30 feet away from where we’re standing. 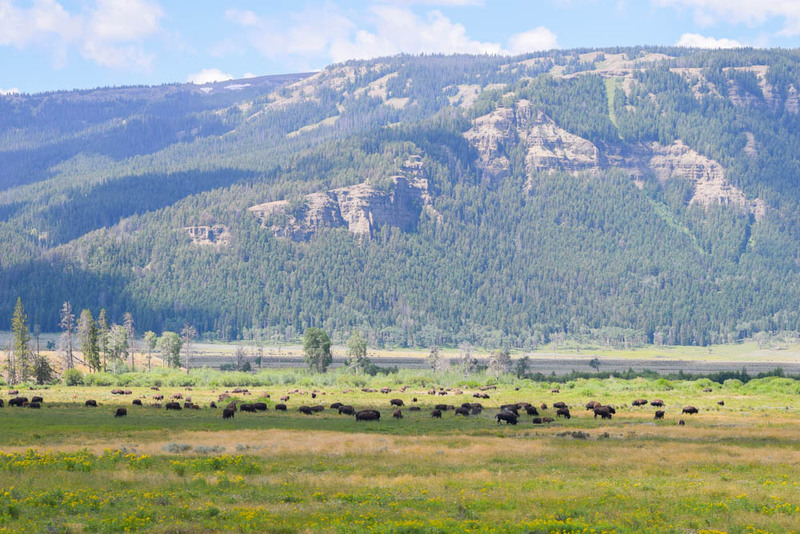 One of my favorite things about Yellowstone is being able to see wildlife at almost every corner of the park. 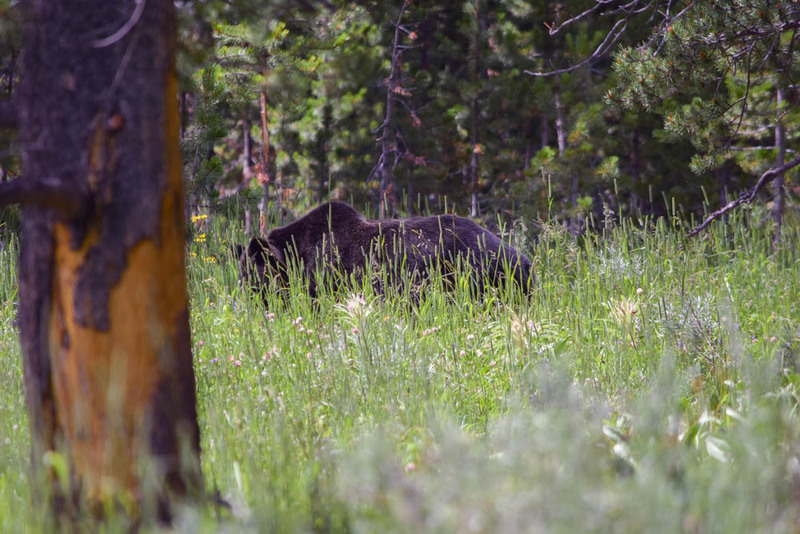 Bison sightings are common as there are thousands of them but bear sightings-let alone, grizzly bears, don’t occur that often. So imagine my excitement when I spotted two of them in one day. NOLA is one of the cities that I’ve been wanting to visit for the longest time. A few people hinted that I shouldn’t bother but I’m glad I didn’t listen to them. The energy and vibrancy of this city was so inspiring. Despite falling on hard times after Hurricane Katrina, everyone seems to be in good spirits. There’s so much to do that our stay was definitely not enough. We got to taste delicious Southern food-shrimp and grits at Lüke, beignets & cafe au lait at Cafe Du Monde, chargrilled oysters & fried soft shell crabs at ACME Oyster Company, we learned about the history of the city by visiting plantations and of course, enjoyed the nature when we went on a Swamp tour & explored the Barataria Preserve. Want to see more? Click THIS. I’m sure you guys are wondering why this is way up here in the list. Well, let me tell you why. It’s no secret (despite being in my late twenties) that I’m still a big fan of Harry Potter. It reminds me of my childhood and makes me yearn for simpler times. When James told me that we were going on a road trip to Florida to see my mom and spend two days in Universal Studios Orlando, I was beyond ecstatic. You see, my love for Harry Potter is unparalleled. Twilight and Hunger Games got nothing on the real OG’s. I have read all 7 books-several times and also, I randomly do movie marathons a few times each month just cause I feel like it. I’m not even ashamed to say it (or should I be?). I love hiking and being surrounded by mountains but most days my heart calls for the ocean. Ever since I watched 50 First Dates twelve years ago, I’ve been dreaming of visiting Hawaii. So when my husband and I decided to go somewhere tropical for our 1 year wedding anniversary, we just had to go to Hawaii. Oahu was our destination at first but I’m glad we went to Kauai instead. What a dream! 2 weeks wasn’t nearly enough! The best part of it all was experiencing this paradise with my husband. I enjoyed it so much that I think I even shed a tear as we boarded our plane to Vegas. I love you Kauai, I really do! How about you? What’s your most unforgettable destination of 2015? You visited some great places during 2015! My fave would have to be Anguilla. It’s so beautiful and quiet and the beaches . . . wish I was there now. Beautiful pictures! I haven’t been to Utah, Wyoming, or Hawaii yet. But they are now on my list of places to visit this year. Hey Shana! Thank you so much. I love those three so much! I hope you can make it out there soon. I could so easily adapt all of yours from last year to my wish list for this year! I loved our NYC at Christmastime trip to close out 2015 – very cool and iconic things to see, and the people were so great. Yes definitely! This can be your 2016 travel inspiration! I wish I can spend the holidays in NYC as well. Those are some absolutely GORGEOUS spots! I think Nashville was gorgeous when I went down. I wish I had taken more pictures. Vegas was interesting too because of the lights and such! Culver City was a fantastic little place too. I’d never been hiking before and I hiked up a mountain. It was crazy! Wow, it looks like you went to so many beautiful places in 2015! I can’t wait to see what 2016 has in store! Once my kids get a bit older, I’d love to do more traveling! I sure did Jenn! 🙂 I cant wait as well. Gonna try and travel overseas this time. What a great list! I have been to Yellowstone, and I agree it is just breathtaking. I always joke that I am terrible at taking photos but it didn’t even matter there! They turned out beautiful no matter what. Hey there! Thanks so much. I’m glad you were able to visit Yellowstone! I love it there. Haha! that’s so true! Its so picturesque! Stunning photos and I’d love to visit Yellowstone myself. In fact, I’d love to visit all the national parks. We loved Yellowstone as well, it was so much more than I ever imagined it could be! As well as Hawaii, we can hardly wait to return this year! What gorgeous pictures! I love your spirit of adventure. We’ve made a goal of exploring as much of our own country as well, and I have such great memories of all the places we’ve been! Oh your pictures are absolutely beautiful! I have been to two of the places you have listed (New Orleans and Universal Studios). I would love to see the others! Harry Potter was amazing! My favorite vacation this year was to Texas…yeehaw! Thanks so much Terri! You’re far too kind. 🙂 My suggestion would be Yellowstone! You will definitely love it whether you like the outdoors or not. There’s so much to do and see that a weekend is not enough! I would love to visit Texas again. We only went to Dallas to see the stadium. so many awesome places! I really want to plan a trip to New Orleans! Thank you Cassandrea! Lovely name btw! I wanna go to universal one day… I almost got to go once, but I ended up breaking an appendage and we had to leave a day early. *shake fist* SOMEDAY!! Monument Value feels out of this world, which is unique and beautiful. Would also love to see Yellowstone and Kauai. I really was Franc. A unique place, indeed. If you love the outdoors you will love both Yellowstone and Kauai! 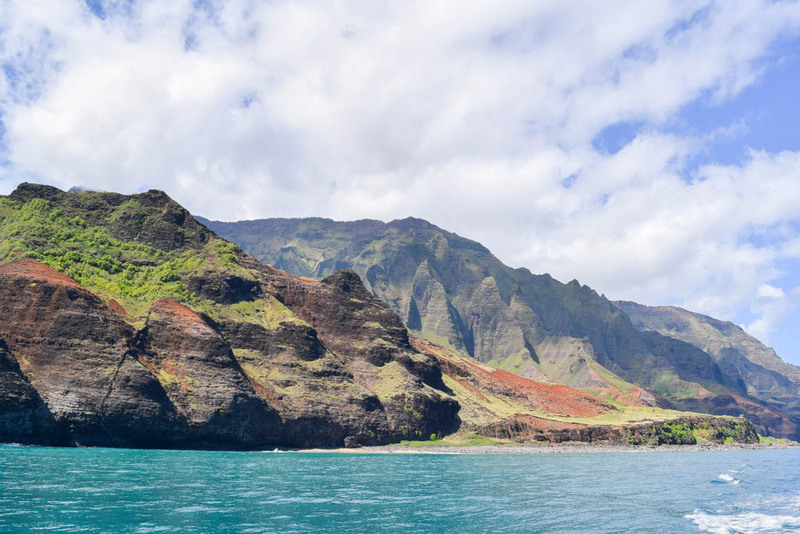 Kauai was amazing… we went for the first time this past November. I loved seeing all the states you traveled to and loved. We have been debating trying more US travel. The past few years we have traveled with our kids to Asia, Middle East, Africa and Europe but we really haven’t begun to explore our own country. This post excites me that there are possibilities out there. It was amazing right? I would def visit it again! 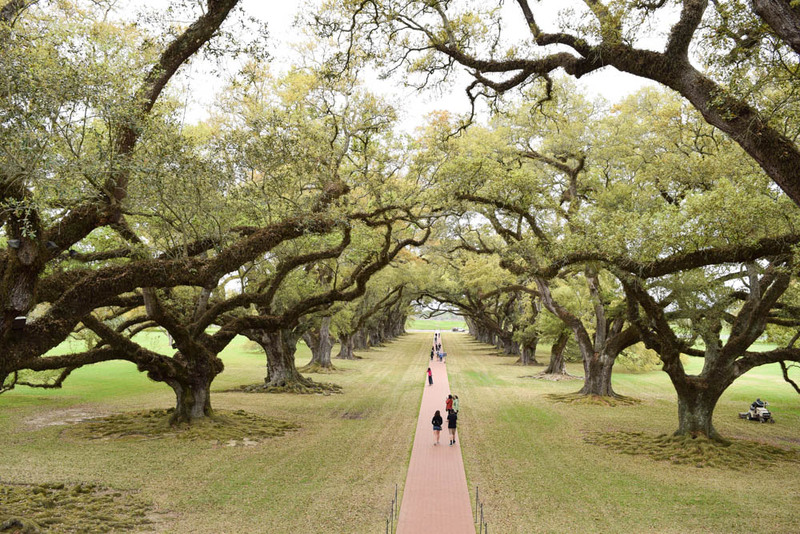 There’s more to see in the US so don’t hesitate! 🙂 I on the other hand will try to travel more overseas! What fantastic places you have been! We did Orlando this year and Harry Potter was amazing. We all loved it. Some great places you visited in 2015! We loved Kauai when we went a few years ago. Monument Valley and Yellowstone are high on my list! Thanks Jessica! Kauai is my fave! I would def go visit again. You will love them both. Great places to visit for sure! I visited all your favorite destinations, Janna and I loved each one of them. In fact, some of them I liked so much that I keep going back on and on, like in Kauai, New Orleans, or Monument Valley. What a wonderful year you had! Happy New Year to you too! Lucky me has been travelling for a number of years but I still haven’t made it to the USA. New Orleans is obviously on my list and the kid in me really wants to get to Universal Studios too. Iceland seems to be a hot destination for 2016 so all the best in getting there and looking forward to see what you get up to this year. Aloha. Nice list! I have been to each of these places and agree that they are all pretty great. I live on Oahu, just up the street from where a lot of 50 First Dates was filmed. But I agree that Kauai is spectacular. Did you manage to hit the Kalalau Trail at all? If not . . . you will need to go back, I guess. I love the energy of New Orleans. I’ve only been once but I am dying to go back, my only regret is that we would’ve taken more pictures. What an amazing year you had! I have always wanted to go to NOLA, seems like such an interesting city and culture. Our most interesting destination last year included Bucharest, Southern Spain, and Belfast. With the CDN dollar tanking it will be a while before we go back to the States, so NOLA and Yellowstone will have to wait. Absolutely breathtaking photos! I have not visited any of your top 5 destinations, I haven’t done much travelling at all. This year is the year for travel. wonderful destinations! I haven’t made it to Yellowstone yet but I hope to do a road trip next year. Great round-up! These are all great unforgettable destinations and you are so lucky to have been to the all. I would love to visit each of these one day with my sons. Hopefully someday we will together. Hawaii would be my top pick. Thanks for sharing you the photos and your experiences. Thanks Rebecca! I was really blessed to visit these places last year. Hawaii is nice! Make sure you visit Kauai first. It’s breathtaking! No problem at all. Hope you found it inspirational. I feel really privileged to have visited 3 of your top 5 destinations for 2015. 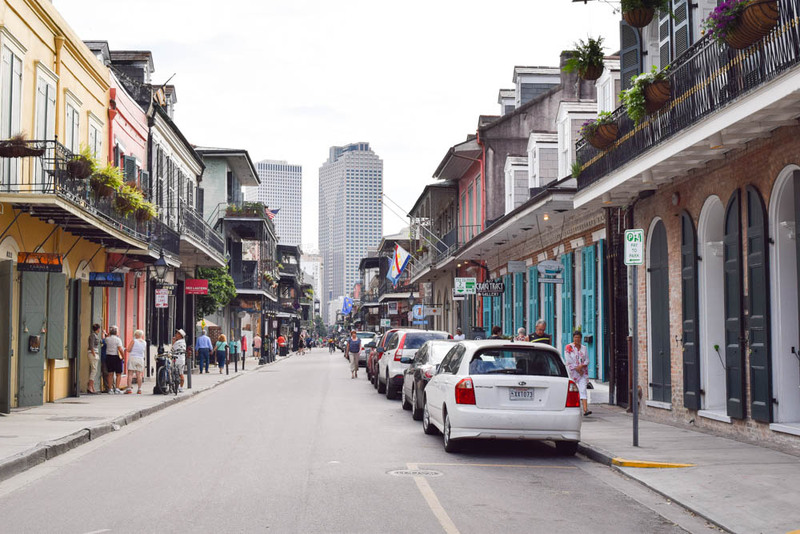 I visited NOLA back in 2008 – not long after Katrina had hit and I was impressed then with the resilience and spirit shown by the community – its nice to hear that they have continued to rebuild. Monument Valley is just stunning, and as for Universal Studios – I miss the days when I could visit whenever I wanted to! 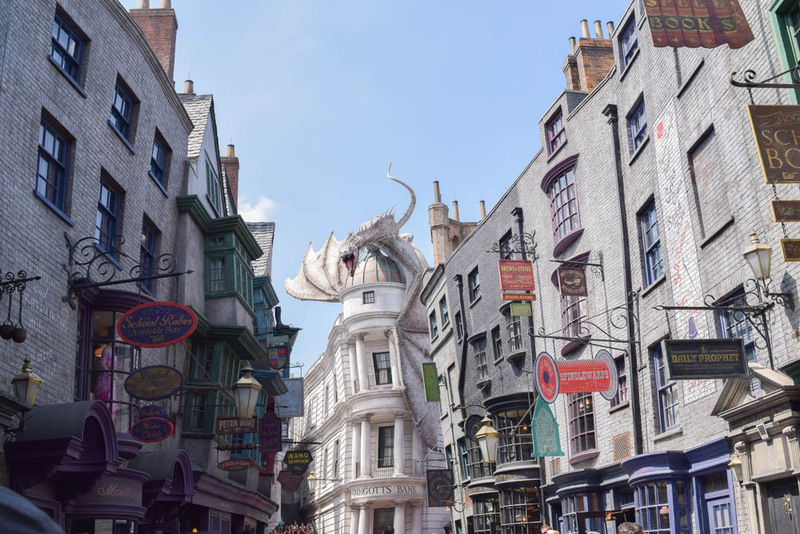 Harry Potter World has been added since I was last there so I will definitely have to go back! Thank you for highlighting some of my own highlights from my past travels! The US has so much to visit right. All these are great options and so varied. In 2015 my favorite was Namibia, where I spent NYE – such an incredible place! Yes, definitely! The US has so much places to explore you will enjoy it. How awesome! What a cool way to spend NYE! What beautiful places! My husband is really wanting to visit Yellowstone sometime soon. Go for it Stephanie! Yellowsone is stunning! Love this list, Janna! Looks like you had a wonderful 2015 🙂 I have not made it to NOLA yet but its on my soon to visit list! 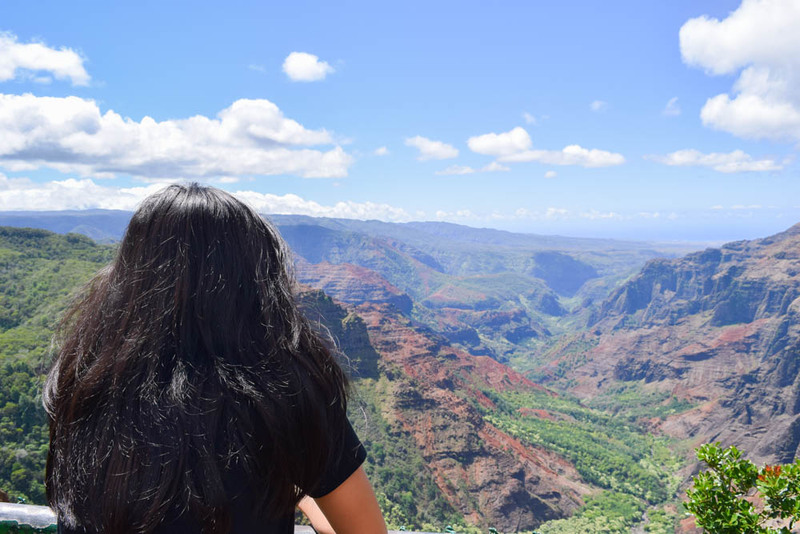 And Kauai, OMG, one of my favorite places in the US, my husband and I visited the island 3 years ago to celebrate our anniversary too and absolutely fell in LOVE with the island, it is beyond beautiful and what words can describe, no? Thank you Kusum! 🙂 I’m glad you love Kauai too! It was my fave destination last year. Stunning, beautiful landscapes throughout the island-it was unbelievable! Wow what an amazing year! I think i would be a bit terrified of the Grizzly Bear that close!!! and Kauai!!! that is on my list for 2016 as we are planning our 3 weeks in Hawaii right now!! What an amazing 2015. Love the places you visited. I’m particularly fond of NOLA. I’ve never been to Utah and your pics of Monument valley are great. Need to put that on my list. Best wishes for 2016 and happy travels! Oh wow, I wish I could see them all. Always wanted to visit Universal studios. Im sure I will someday. Thanks for the post. Awesome! 🙂 Definitely visit Kauai Tania! These are places that I would really love to visit in the US. My most memorable travel experience in 2015 is backpacking in the Lassen wilderness. Have you been there? 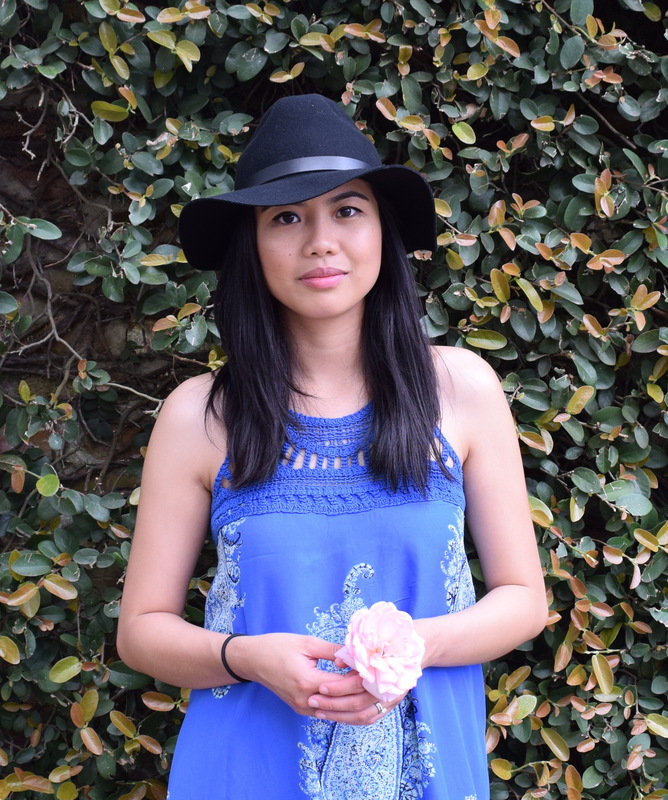 i went to new orleans for my baby moon and have been itching to get back! there and hawaii are my top destinations. Nice! Baby moon in NOLA! 🙂 Hawaii is my fave destination last year! I grew up just outside of New Orleans. We moved to Oklahoma about 10 years ago, and I miss being there so much! They’re a different kind of people there and I love and miss them! PS: You are know wanna-be photog like your profile says! I really enjoyed your pictures! Great choices. I went to Maui this year and it was unforgettable. I had been before but this time I experienced some parts of the island I hadn’t been to before. I’m going add Monument Valley to my list on your recommendation. I’m going to Park City in a week or so but Utah in the summer is so beautiful as well. Thanks for the inspiration! Thanks Shannon! I, too would love to visit Maui someday. 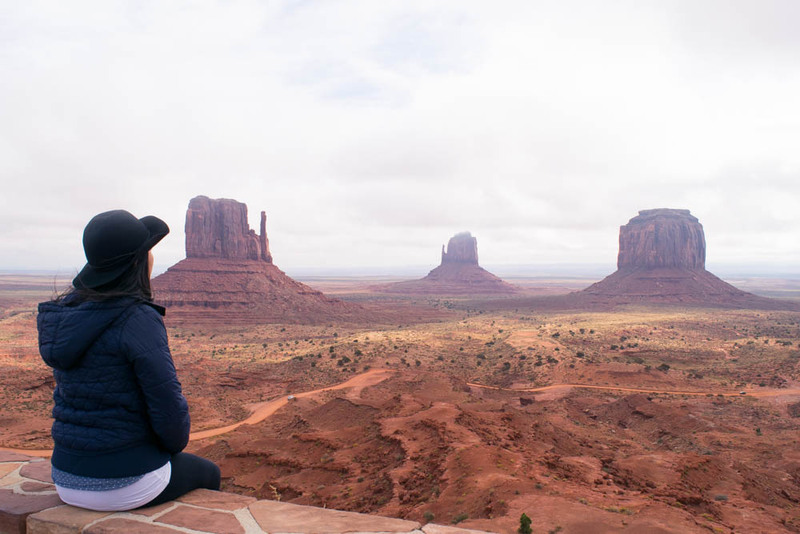 Ooh you should def add Monument Valley to your list when you visit Utah. You will love it! 🙂 And no problem at all, glad you liked it! I love this list! Everyone else is all “SE Asia, Europe and South America” so it’s nice to see a list featuring the United States! I admit, I’m one who runs off to Europe every chance I get but I think this year I’ll do more traveling closer to home. Awesome Job! I and my husband wasn’t able to travel this year due to our wedding preparation but before 2015 ended we planned to travel to California together with my mother-in-law. I been to 2 of places on your list! I been to New Orleans (twice last year) and Universal Studios love both places! Always lots of fun and I cant wait to visit Hawaii! Ahhhh! My dream is to go to Harry Potter World. Did you enjoy any of the themed treats? What great places to visit! Great list! I’ve visited 3 out of the 5 you mentioned. A few months ago I went to Hawaii and Kauai was one of the stops there. I have to agree with you, it really is a beautiful place! I think San Francisco was my favourite destination. I was in the US for a month but did not make it to any of your top 5. I sure want to see Louisana and some of the South on my next visit. Love all your photos, would happily add all these places to my list if money was no object! My most unforgettable destination in 2015 was Guilin/Yangshuo. Exploring China was incredibly interesting! Do visit it should you have the chance! 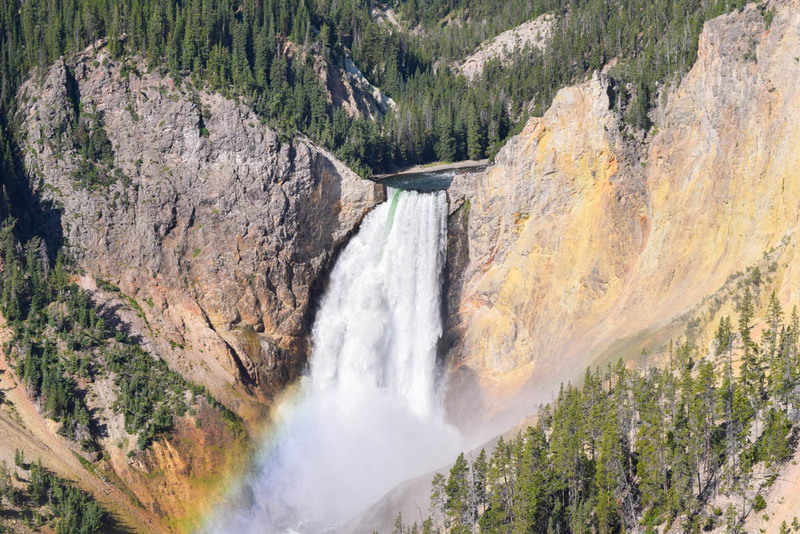 Aaah Yellowstone is in my list for the longest time. I have to find a roadtrip buddy to go with! Hey Justine! Yes! Definitely visit Yellowstone. I’ve only been twice but I consider it as one of my fave destinations in the US! Amazing photos! I’m planning on doing more travel in the States (I’m Canadian) so this looks like a great list to start with! AHHH that waterfall!! Your US road trip looks so amazing! I’ve been to the States multiple times but haven’t seen any of these sights. Guess I need to go back haha. So many great destinations! I’m happy you didn’t listen to the NOLA naysayers, it’s one of my favourite cities! My highlights also included Hawaii, though I didn’t make it out to Kauai. Next time for sure!